When you buy a home, you lock yourself into a long-term mortgage. This limits your options if you need to move. You’ll have to go through the whole selling process, plus there may be fees involved if you try to end the mortgage early. That’s not an issue with renting. Typically, you’ll start on a six-month contract, with many landlords switching to rolling monthly contracts after that. If you know that you’re on the move a lot, or if you’re looking for somewhere to live while you save for a house, renting is the best option. When you own a home, everything inside that property is your responsibility. If the boiler stops working or a window breaks, you have to pay money to get it fixed. Furthermore, you also have to spend valuable time looking for contractors and can’t be sure you’ve made the right choice until they do the work. The initial cost of buying a property is enormous. Not only do you need to save a deposit, which can often end up being in tens of thousands of pounds, but you have all sorts of additional fees to worry about. Lenders and legal professionals all take a slice of the pie. 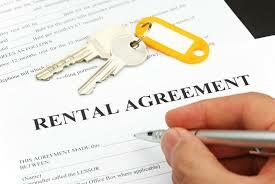 The cost of moving into a new home decreases drastically when you rent. Typically, you’ll only pay a month’s worth of rent up front, plus a security deposit. You also get the deposit back when you leave the property, assuming you haven’t caused any damage. If you need more advice or would like to discuss your options, call the team at PRG.